Patients or Profits: Are People Being Left Behind in the Healthcare Industry’s Big Data Strategy? There’s an enormous amount of data involved with managing a chronic condition like insulin-requiring diabetes — glucose levels that vary throughout the day, insulin requirements that vary for different types of food and throughout different times of day, adjustments made to insulin therapy to account for illness or exercise, and interventions to be logged, to name a few. 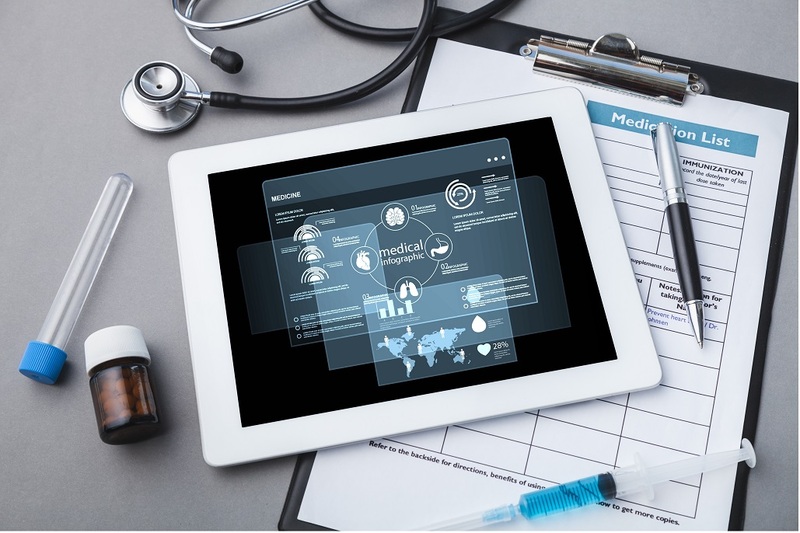 Healthcare companies could be harnessing this extraordinary amount of information to analyze how people manage their chronic conditions, allowing them to identify trends that could ideally be used to make life easier for people living with these conditions. But instead, too many established companies in the biotech industry make products that compile and collect that data without employing it to significantly help the end users of these devices, their healthcare providers, or their health insurance plans who pay for their use. Many of these companies just keep churning out more products that collect more data, as though they think that more information will necessarily equal better health outcomes, shifting the burden of nuanced data analysis to the healthcare provider and collecting that data for far-off future product and platform iterations. Currently, many people with chronic conditions and their healthcare providers are drowning in the disease management details. Wearable technologies like continuous glucose monitors (CGMs), blood pressure monitors, and cardiac health monitors collect data that can determine if immediate intervention is needed or if a treatment is effective, but not if the data is never sufficiently utilized. What if all that data being generated could be deployed to directly improve the lives of people with chronic conditions so that they didn’t have to think so much about daily disease management? That’s what we’re focused on at Bigfoot Biomedical. There is extraordinary cost - and extraordinary opportunity - in diabetes today. According to the American Diabetes Association, the total cost of diabetes grew to $327 billion in 2017, up from $245 billion in 2012. These numbers, which include how much people with diabetes (PWD) and their insurers are paying for their care and health resources, are up by 26 percent. And these costs are expected to grow: according to one NIH study, the total financial costs of diabetes will jump to more than $622 billion by 2030. It might be that diabetes device manufacturers are incentivized to continue as they have been, rolling out new, incremental products for people with diabetes (PWD) and their healthcare teams. Why change your model if change would require a commitment to reimagining your business? But maintaining the status quo without a data strategy that can impact health outcomes translates into staggering costs for people with diabetes who rely on those products to stay alive and who could benefit from thoughtful application of the data their devices collect. Device manufacturers often fail to address the rising costs for people living with the disease, the healthcare providers who care for them, or the insurers who cover those costs in the way they structure their business models or the way they innovate on product design. We see companies that sell insulin pumps for many thousands of dollars without enabling device data transmission back to their businesses or without enabling software upgrades that would apply learnings from the data directly back into the user’s therapy regimen. Because durable medical equipment like insulin pumps often have four- or five-year warranties, insurers often won’t pay to upgrade their members to new hardware, and people find themselves stuck with outdated technology for four or more years. And if that pump is thrown into a drawer and never used? The pump manufacturer has no incentive to care, as the insurance provider has already paid the bill for it. At Bigfoot, we're taking a data-driven approach to reducing burden for people with insulin-requiring diabetes. Our in silico modeling environment, where we run sophisticated computer simulations of diabetes device systems we’re developing, can run millions of scenarios in a day, based on real world datasets, for a fraction of the cost of a randomized control trial, enabling us to optimize our time spent in studies with human participants. At the point of care, we intend for our systems to respond to both historical & real time data for therapy decision making and to deliver contextually meaningful notifications, training, and service to users. At Bigfoot, we relentlessly strive to free people with insulin-requiring diabetes to live the lives they choose, and our products and services in development are being designed with that goal always top of mind. We believe that using big data in direct service to the user will go a long way to enable people with diabetes and their healthcare providers to devote less mindspace to managing insulin-requiring diabetes. If we can reduce care burdens with fewer resources and better outcomes, we believe we can meaningfully impact the spiraling healthcare costs of diabetes. When people with chronic disease, their providers, and payers don’t feel like complicated new products are truly helping, introducing another new device to the marketplace is ultimately wasteful. Innovation driven by data has the potential to revolutionize chronic disease care for those who need it most: those living with conditions like insulin-requiring diabetes, as well as the healthcare providers and payers who support them. Making things better for the people who will use our products and services, people like so many on our team who are impacted by diabetes, is what drives us to keep innovating. We see how big data could be used to effectively help healthcare providers improve health outcomes, decrease hospitalizations, and streamline appointments so that more time is spent on delivering care instead of reviewing graphs and data points. At the end of the day, we understand that diabetes management solutions must reduce the overall costs of care and improve outcomes if they are to be reimbursed by payers. Big data works in service here, too, as it can provide payers with visibility into how solutions might serve their member cohorts. Bigfoot gets it — many of us live with insulin-requiring diabetes or know it well through our loved ones. In fact, about 30 percent of our employees either have diabetes or have a close family member who does. Our vision is for technology to free people from the burdens of living with insulin-requiring diabetes. It’s this user-centric focus that makes Bigfoot different — and why we believe we will succeed in helping people with diabetes live longer, healthier lives with less effort. Diabetes care, in all its complexity, should stand out as a proving ground for other medical device companies as they begin to explore how they might leverage big data in a more impactful way — a way that can boost both business objectives and patient care, and will pave the way for other companies to do the same. More than just the tale of our origins, the stories of Bigfoot are the moments we capture of our phenomenal team - how we interact with our community, disrupt our industry, and change the healthcare system to deliver value. Join us as we share the chapters of our story.